4. Mobiles are scared of it. You are brilliant if you say the answer within today.....reply me as fast as you can. 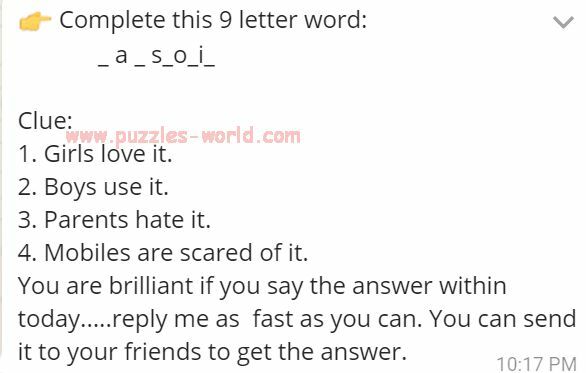 You can send it to your friends to get the answer.